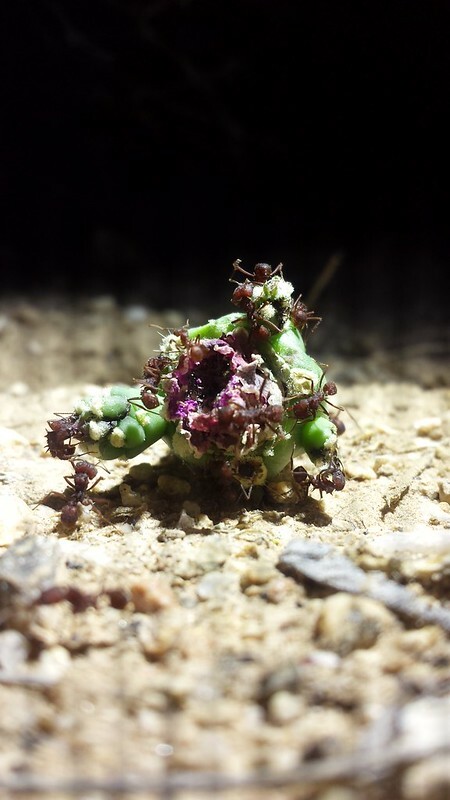 I'm going to assume that, if you read my blog, you have at least some tolerance for insect and spider photos. In case you didn't know this, tarantula hawk size is proportional to tarantula size. 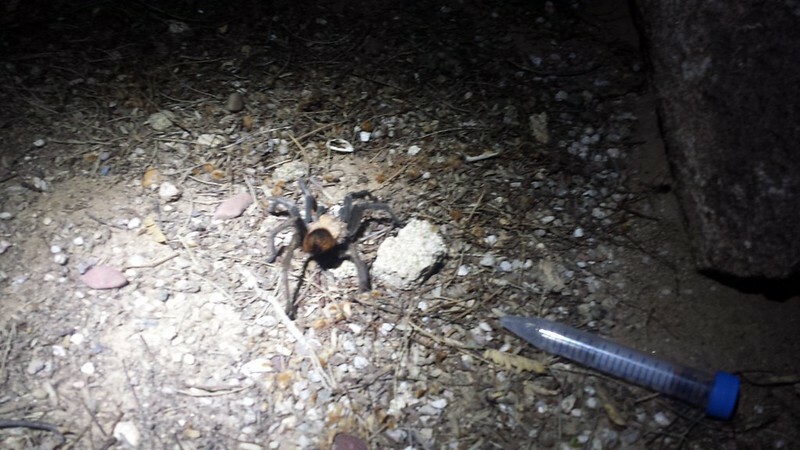 So hopefully that gives you a good mental image for the size of the tarantula hawks we saw. 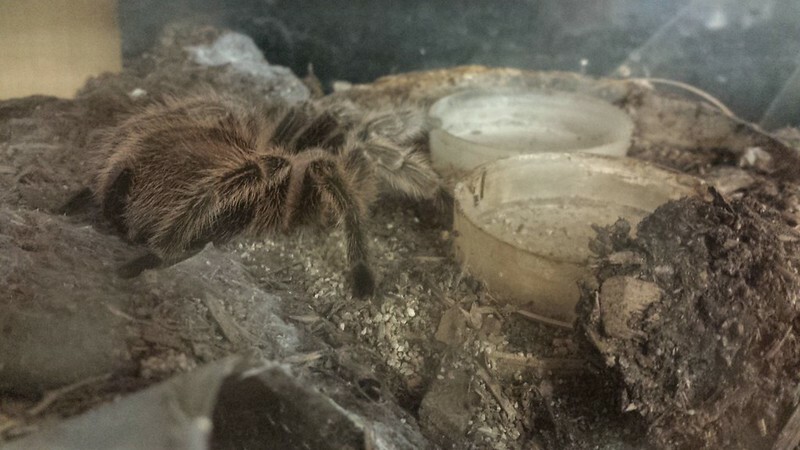 A photo from not too long ago of Murphy, the Chilean rose hair tarantula kept in the lab here. She's at least 9 years old by now, and seems to still be doing well. The grad students will occasionally bring her to outreach events because she's friendly and nice to hold. This entry was originally posted at https://rebeccmeister.dreamwidth.org/1237899.html. Please comment there using OpenID.